Redmi Note 3 is the latest affordable smartphone from Xiaomi. 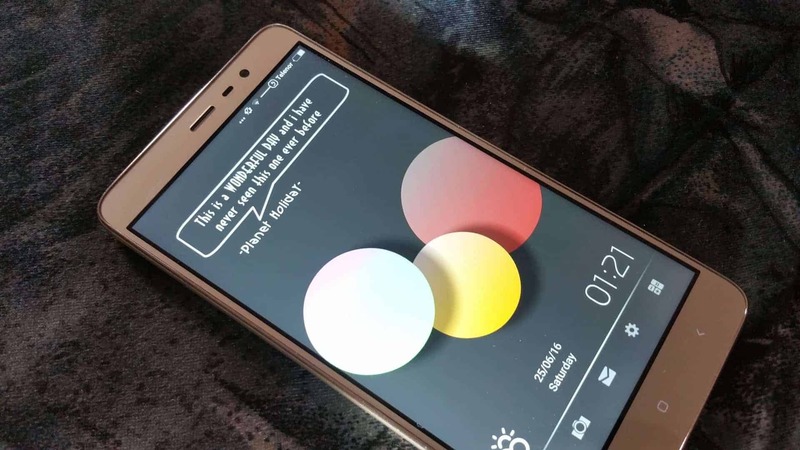 The Apple of China developed Redmi series to create the best affordable smartphones with best in class performance and design and Redmi Note 3 is one among of its kind. If you are planning to buy a budget-end with high-end specifications, you will be free from confusion after reading our Redmi Note 3 review. 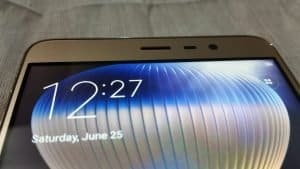 Redmi Note 3 is is the successor to last year’s Redmi Note 2 and Xiaomi has worked so much to redefine its former version of Note series and improved several key aspects in Note 3 such as a metal body, fingerprint sensor, brand new chipset, and a larger battery. Let’s have a glance of Redmi Note 3 specifications and have an understanding why you need to buy this smartphone when there are many competitors available in the market? let’s peep into the reasons and decide whether is this the smartphone you are looking for? 16 megapixel rear camera with PDAF, f2.0 aperture, dual LED flash. 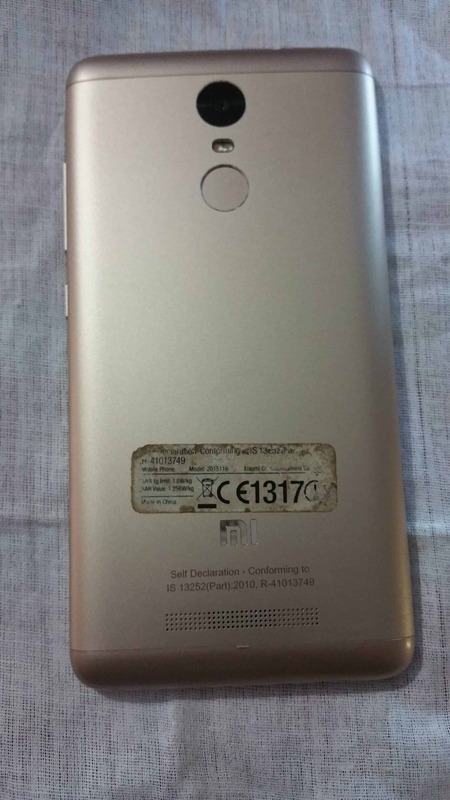 The Redmi Note 3 is the first Redmi phone with a metal body and it is mostly made out of aluminum with plastic caps at the top and the bottom. The change over to metal design gives redmi Note 3 a premium feel, which is incredible as this is still Redmi device. 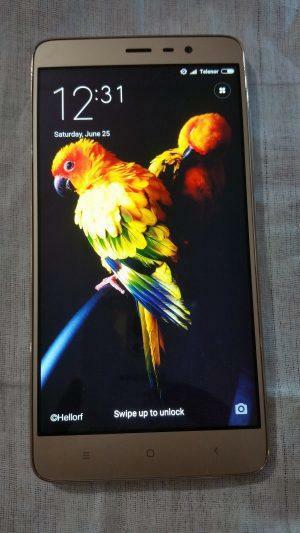 The front of Note 3 is styled with Narrow bezel display and above to it are the earpiece, ambient sensor, front-facing camera, and a notification LED. Below the display is the backlit navigation controls. On the right side of the phone are the power button and the volume rocker with polished geometrical curved edges, all are well placed and good working too. On the left side is a tray that holds either two SIM cards (mini + nano) or one SIM card and one microSD card. The tray sits perfectly flush with the body and for once, the color matches the rest of the phone. On the top are the headphone jack, secondary microphone, and the IR sensor. On the bottom is the microUSB port and the primary microphone. On the back of the Note 3, we see the 16-megapixel camera lens up top with the two-tone dual LED flash below. 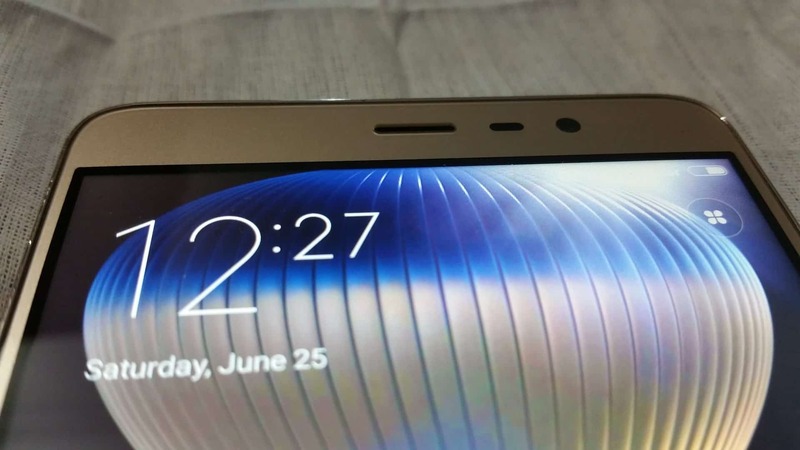 Below the Redmi Note 3 camera, is the fingerprint sensor. The cutout for the Note 3 camera and the redmi fingerprint sensor are exactly the same size and have a polished, beveled edge. Below is the loudspeaker and it is placed in perfect angle; but the con about loudspeaker is you can’t hear the sound when it is placed on its back on a table. 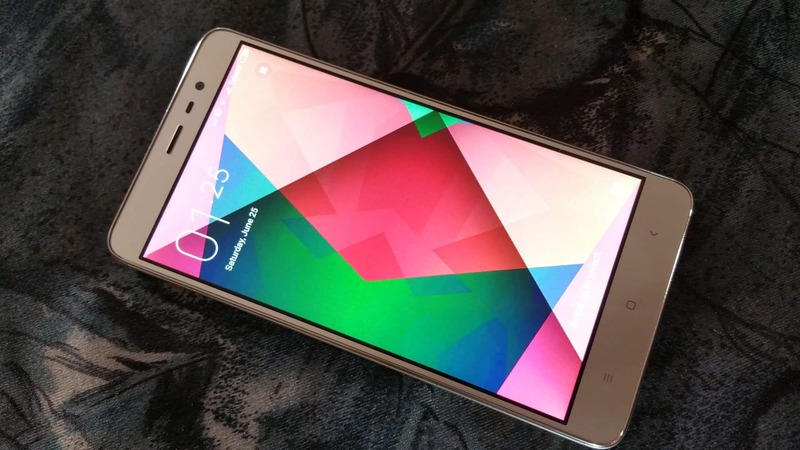 When it comes to size, Redmi note 3 is a large phone with 5.5-inch display. The build quality, fit, and finish are incredible but the phone seems to be too slippery and it is necessary to have a carry case. Looking at the premium design of redmi Note 3, it is still unbelievable to see it as most affordable smartphone available in the market. 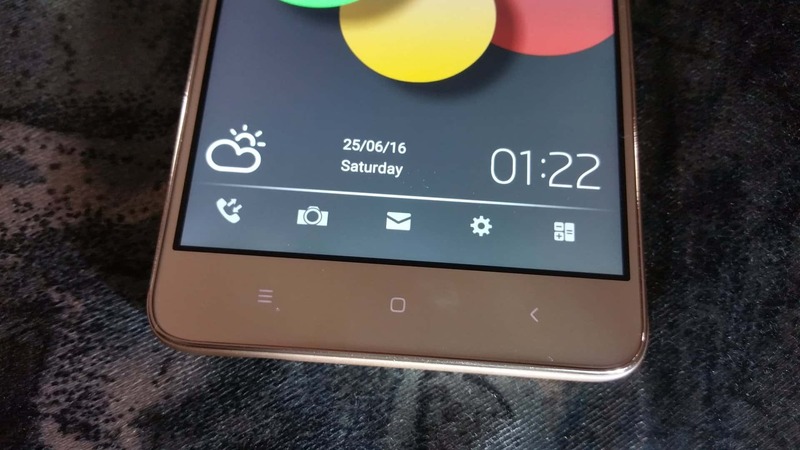 The Redmi Note 3 has a 5.5-inch, 1920 x 1080 resolution LCD. There are many modes available in Redmi Note 3 and by depending on the mood you can set your display mode. There is the Standard mode, then Increased contrast, which boosts colors and adjusts display contrast based on the displayed content, and Automatic contrast, which adjusts the dynamic range of the display based on the ambient light, making the darker areas of the image brighter under bright light to make them more visible without increasing the backlight. You can also adjust the color temperature by setting it to standard, warm, or cool. The con part is the display can also get ridiculously dim, to the point where you have to keep the brightness slightly above the minimum even in a completely dark room. Overall, the Redmi Note 3 has a decent display, and easily one of the best you can get in its price range. 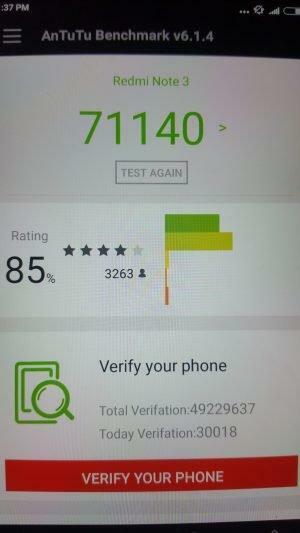 Redmi note 3 is the first Snapdragon 650 device on the market, and after testing the device, we were overwhelmed with its performance and it is quite impressive too. The Snapdragon 650 chip offers a hexacore processor with 2x Cortex-A72 at 1.8GHz and 4x Cortex-A53 at 1.4GHz. In terms of general usage, the phone performed admirably. Opening and closing apps were quick, scrolling was smooth, animations were fluid, and everything just seemed to work as it should. The CPU on the 650 seemed well up to the task of everyday usage and the OS seemed to be well-optimized for it. 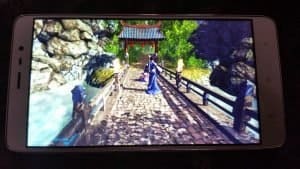 When it terms of gaming and graphics,the Adreno 510 GPU performed remarkably well with the phone’s 1080p resolution and all of the games we tried ran quite well. 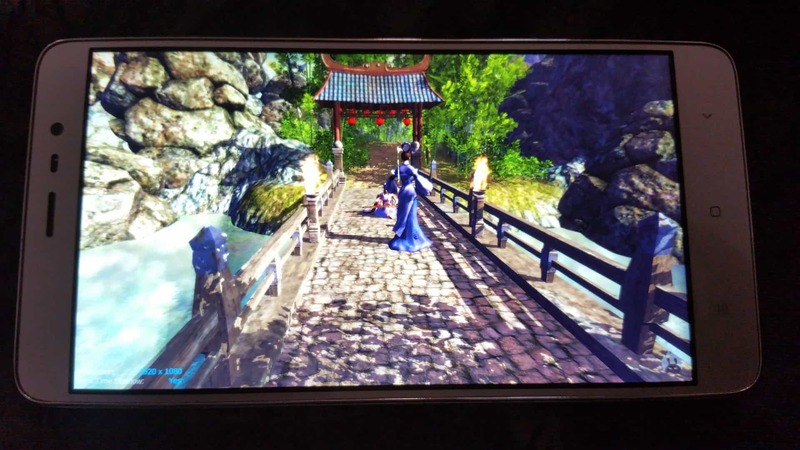 The Adreno 510 turned out, in fact, twice better than the PowerVR G6200 within the Mediatek model. Here are the benchmark results to prove it. Overall, we found the performance of the Snapdragon 650 to be well above that of any of the Snapdragon 600 series chipsets and actually quite close to that of the Snapdragon 808. Thermal Performance/ Does Redmi Note 3 has heating issues? When it comes to thermal performance, both the Qualcomm and Xiaomi have done a good job to keep the temperatures in check. In regular use, there is absolutely no noticeable difference in the phone’s temperature. Even while gaming, the back gets slightly warm, but it’s never bothersome. We found the slight heating issue in Redmi Note 3 only when playing a high-end 3D game like Call of duty with 100% brightness and the heating is not well noticeable. Xiaomi has updated the Redmi Note 3 with a 16-megapixel camera on the back with phase detection autofocus, f2.0 aperture, two-tone dual LED flash and 1080p video. 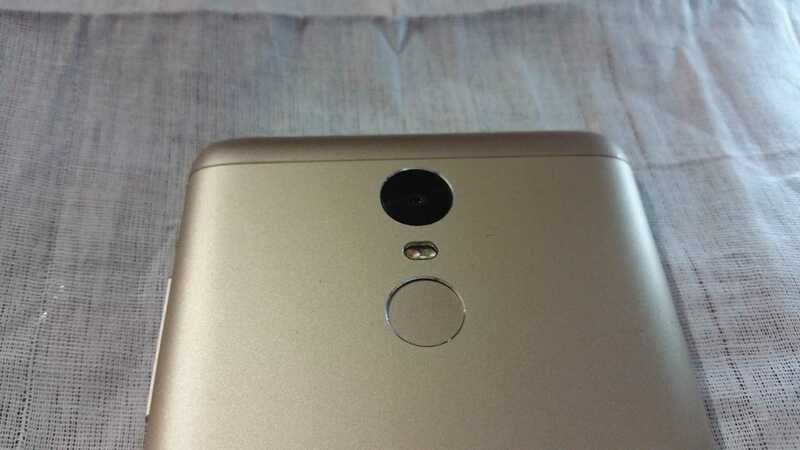 On the front is a 5-megapixel sensor with f2.0 aperture. The quality of image the Note 3 is delivering is quite good in HDR mode, but in the normal mode the image quality of the rear camera is underwhelming due to a bit of noise in the images and it is mixed with over sharpening that made the images to look unpleasant while zooming the images. The focusing is quick but quite often tends to miss the mark, which is usually hard to tell on the display while you’re shooting but something you notice later while looking at the image up close. The video wasn’t great either. 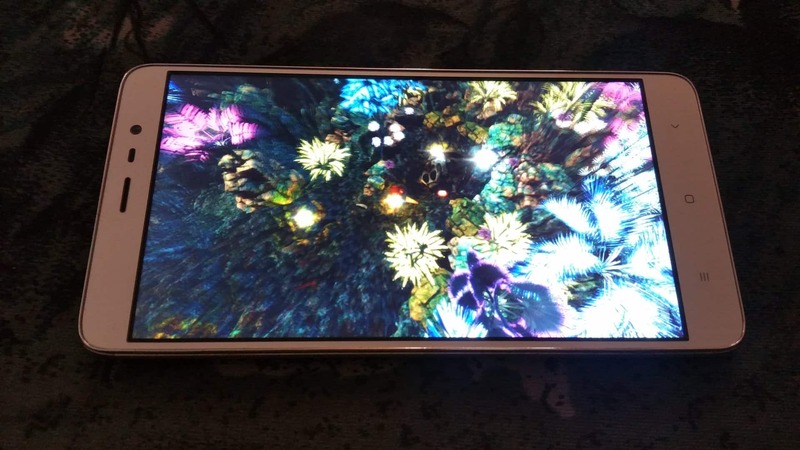 The phone seems to be upscaling a lower resolution video, which is clearly visible when shooting still subjects, as you can see the jagged edges of a low-resolution file being played back at a higher resolution. Colors also look flat in the video and the dynamic range is even worse than on photos. As such, the overall camera quality on the Redmi Note 3 isn’t great and possibly the weakest aspect of the phone. The Redmi Note 3 comes with 4,050mAh battery and it is non-removable, which is one of the other draw backs of Redmi Note 3. 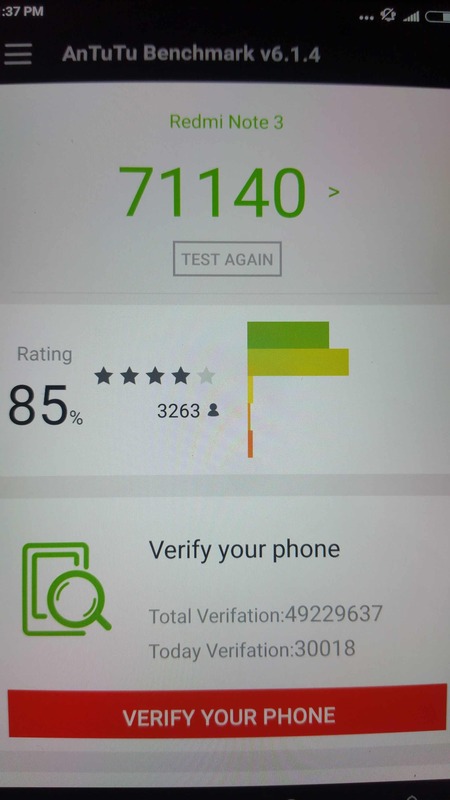 While testing the phone through normal usage patterns, The Redmi Note 3 consistently returned excellent battery life figures, with an onscreen time of 6-7 hours every single day. The phone has a battery saver mode of sorts that’s on by default, which cuts back the location and network access of background apps, but we didn’t notice any adverse effects, such as apps not updating in the background, etc. while using the phone, so we decided to leave it on. The Snapdragon variant of the Redmi Note 3 is priced at USD $148 (INR 9,999) for the 16GB model and $178 (INR 11,999) for the 32GB model, in India. At that budget price, the phone represents phenomenal value for money. – Even if you leave the price aside for a second, the Redmi Note 3 has specifications of top priced smartphones i.e., great design and build quality, good display, great performance, fingerprint sensor, and excellent battery life. 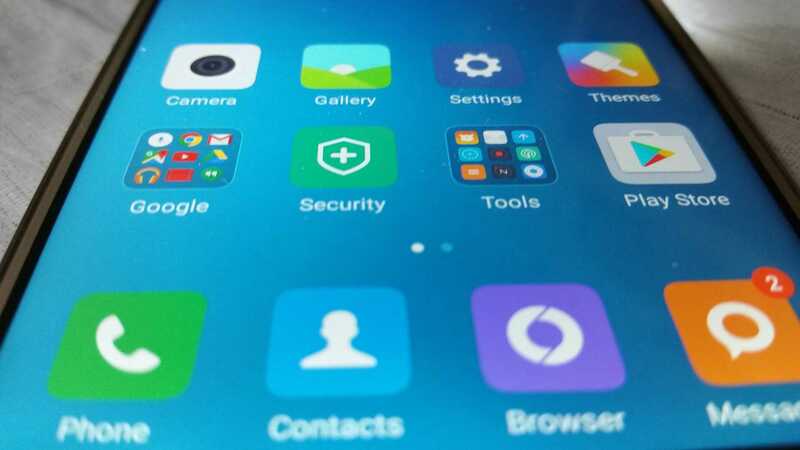 Budget pricing is the add-on to the high-end specifications and it makes a user ignore some of the shortcomings, such as the less than stellar camera, outdated version of Android, and the lack of proper fast charging, none of which are deal-breakers, to begin with. At this price, it is easily the best phone in its price range. 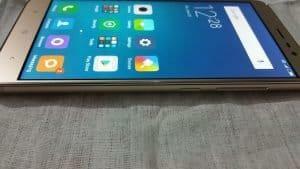 Redmi Note 3 represents phenomenal value for money. Even if you leave the price aside for a second, the Redmi Note 3 has specifications of top priced smartphones i.e., great design and build quality, good display, great performance, fingerprint sensor, and excellent battery life. Budget pricing is the add on to the high end specifications and it makes a user to ignore some of the shortcomings, such as the less than stellar camera, outdated version of Android, and the lack of proper fast charging, none of which are deal breakers to begin with. At this price, it is easily the best phone in its price range.